Remodeling projects can be expensive, especially a kitchen cabinet remodel. No matter what your budget, there are some ways you can make the project more affordable. Updating the kitchen is one of the best investments you can make in improving your family’s home, but lets look at five ways you can save. If your cabinets are functional but just are no longer visually appealing, cabinet refacing is an option which is often much more affordable than you might think. Refacing kitchen cabinets can cover up many unsightly problems and since the old cabinets are not removed, there is no demolition involved. That means it tends to be quicker and your family can often still use the room during the process. Refacing can change the color from dark to light or visa-versa, thus changing the look of the room completely without having to remove old cabinets. If your kitchen cabinet remodel will need to go beyond refacing the existing cabinets, first consider if you might be able to get by with keeping your current kitchen’s basic footprint. Avoiding the removal of walls will save money in many ways, such as avoiding the costs of rewiring and the hiring of a professional architect to access the home’s structure, determine load-bearing walls, and create new plans. Moving the sink means new plumbing, which can add thousands of dollars to your kitchen cabinet remodel. Re-doing the plumbing can also cause of unexpected problems, especially in older homes where you may encounter leaks or find that pipes that aren’t up to current building codes. Explore options and plans which leave the sink in its current location and move the cabinets or appliances instead. If funds are limited, remember that you don’t necessarily have to replace all of your appliances when doing a kitchen cabinet remodel. Consider carefully which of your existing appliances are still completely functional and how you might work them into the design. Be sure to consider the entire layout of the kitchen before purchasing any of the appliances. You’ll want to make sure to purchase those which fit properly in your design and order ones with doors that open in a direction most friendly to your new space. If you plan to sell your home in the near future and can afford it, consider stainless steel appliances. They are something many home buyers are looking for. Before doing any work yourself or beginning to hire individuals to do work for you, consider hiring a professional kitchen cabinet remodel firm to do a free in-home estimate. This can save you lots of money. Cabinet Wholesalers in Anaheim offers a FREE no obligation 30-minute estimate that will give you an overview of what is possible for your kitchen before you spend a dime. Simply fill out the online form call 714-693-1111 to request your free kitchen remodeling estimate today. Call for your estimate or visit our showroom. 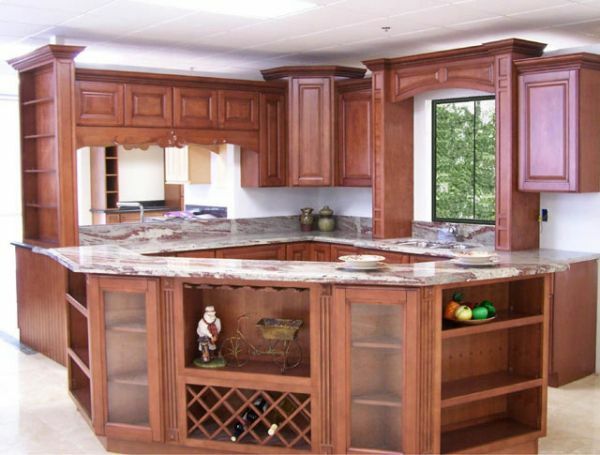 Let Cabinet Wholesalers assist you with your kitchen cabinet remodel.